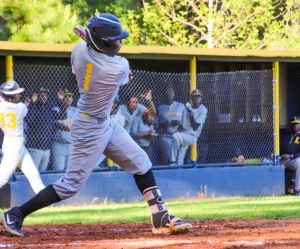 The Southwest DeKalb Panthers firmed up their grip on the Region 5-5A lead by defeating the Lithonia Bulldogs 15-3 to complete the season sweep in high school baseball action on Wednesday at Southwest DeKalb. Lithonia (8-7, 5-3) was serving as the home team for the game and the Panthers (13-3, 8-0) took advantage with a six-run outburst in the top of the first inning. The first four Panthers reached base including a RBI single by Sadir Ryan and a two-run double by Theo Bryant for a quick 3-0 lead. Two of Lithonia’s seven errors came after the double allowing Bryant, Dante Alexander (hit by a pitch) and Chauncey Adams to score for a 6-0 lead just three outs into the game. Adams pitched two scoreless innings to start the game for the Panthers allowing one hit and a baserunner on an error. The Panthers’ lead climbed to 11-0 in the top of the third inning behind an infield single and RBI by Kendrick Scott and a two-run single by Ryan as he collected his second and third RBI. Another error by the Bulldogs allowed two more runs to score before getting out of the inning. Lithonia got on the board on an Amir Streeter RBI single to center and an error by the Panthers allowed Bryson Suber and Streeter to score as the Bulldogs closed the gap to 11-3 heading into the fourth inning. Adams tripled to lead off the top of the fourth inning for Southwest DeKalb and scored on a passed ball to extend the lead to 12-3. The Panthers took advantage of there more errors in the top of the fifth to score three runs to make the final score of 15-3. Lithonia got a two-out hit by Streeter as they tried to prolong the game, but Adams got a groundout to end the game. Sadir Ryan finished the game at 3-4 on the day with three RBI to lead the Panthers. 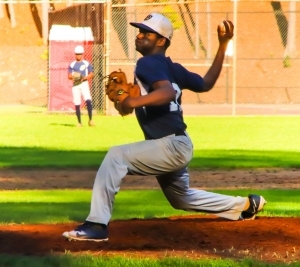 Adams threw five innings on the mound allowing three runs, one earned, and four hits while striking out five and only walking one. Amir Streeter led the Bulldogs with a 2-3 day at the play with a RBI and a run scored.